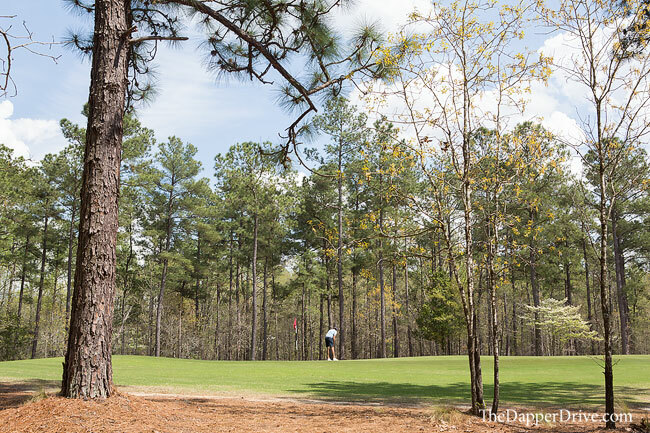 Nestled in a natural, serene setting, uninterrupted by civilization, Dormie Club is as secluded a golf course you’ll find. 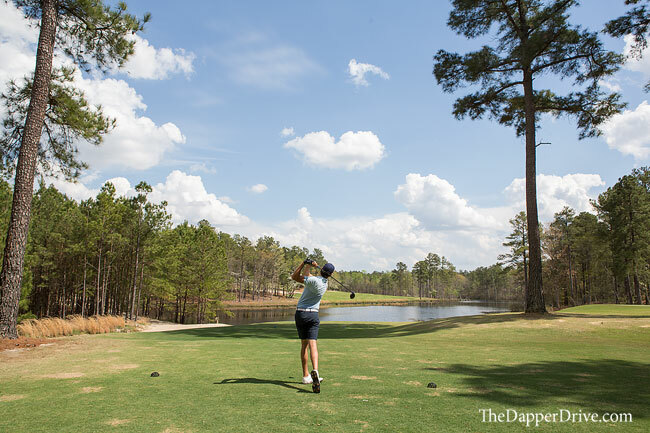 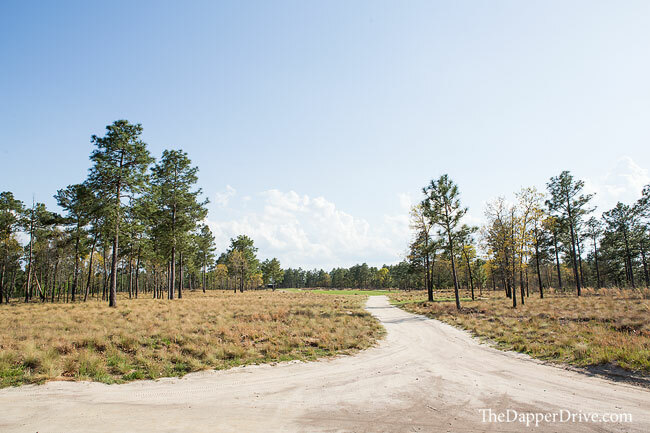 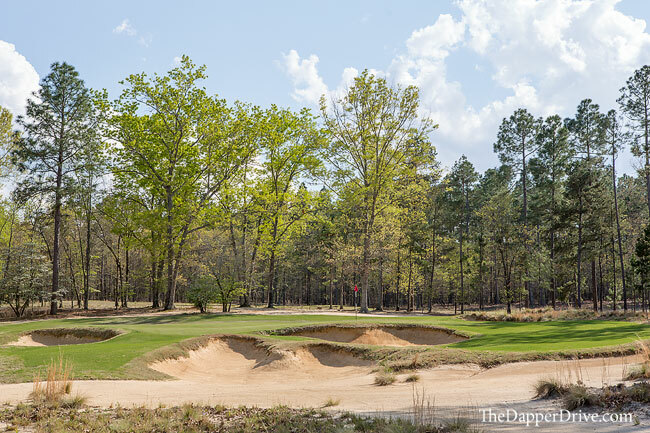 Coore & Crenshaw did what they do best at Dormie — create a fun golf course that fits the natural land, all while highlighting the property’s beauty. 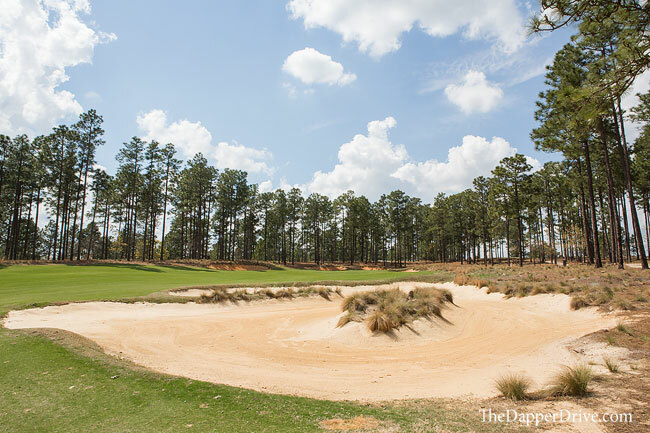 Fairways are generous, though wayward drives are likely to be snatched by one of the many well positioned bunkers or dense trees. 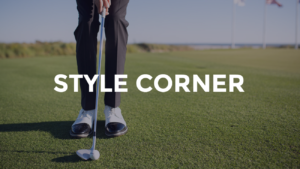 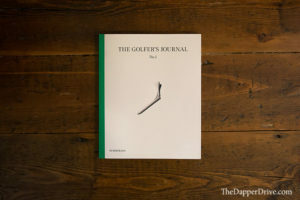 The well-guarded, undulating greens prove to present much of the challenge, with many of the surfaces features slopes and swales to send your ball scurrying away from it’s intended target. 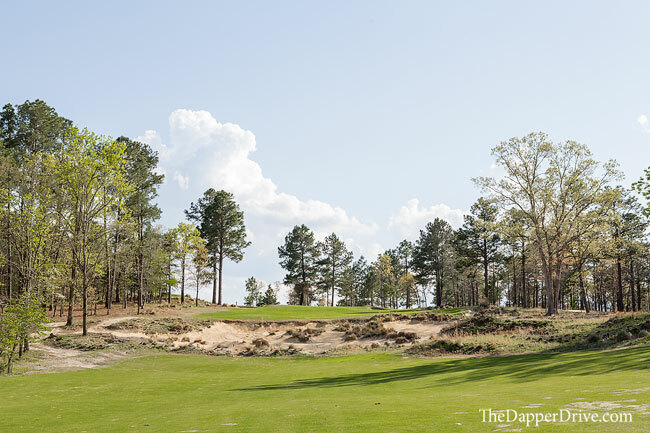 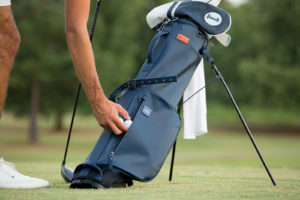 Dormie features two reachable par 4s – which the duo of designers often work into their courses. 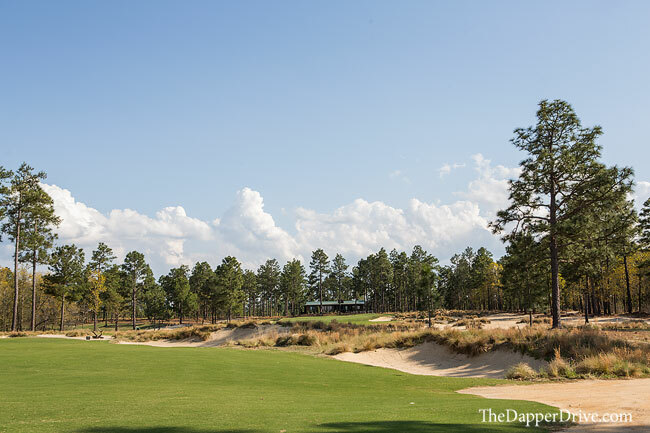 The 313-yard 3rd plays uphill and features a severely false-fronted green, making those short pitches a real challenge. 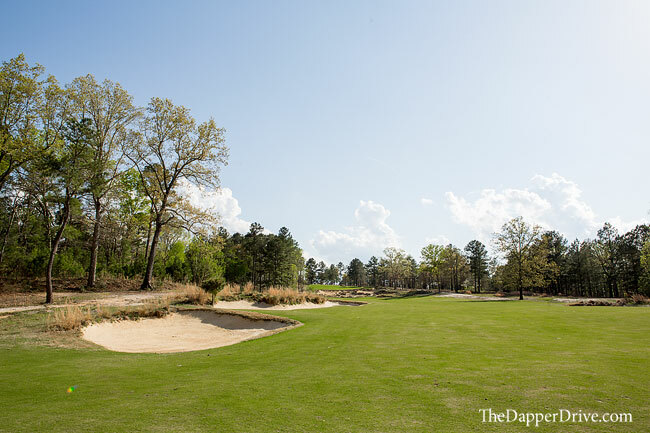 The 299-yard 14th is a tighter target, but a left-to-right sloping fairway acts as a speed slot to send left-center drives barreling onto the putting surface. 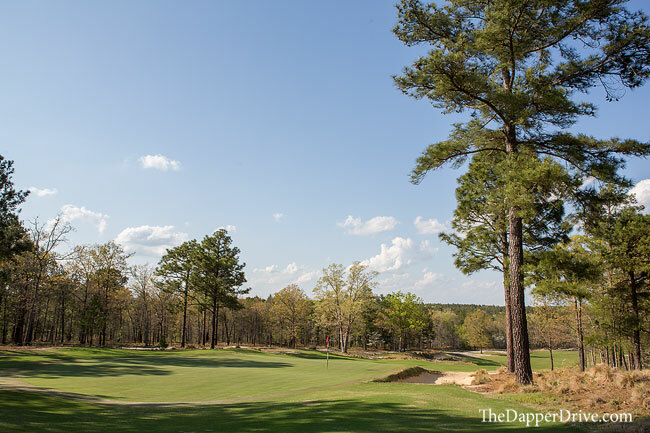 I hit one of my better drives of the day here and was rewarded with a stress-free two putt birdie. 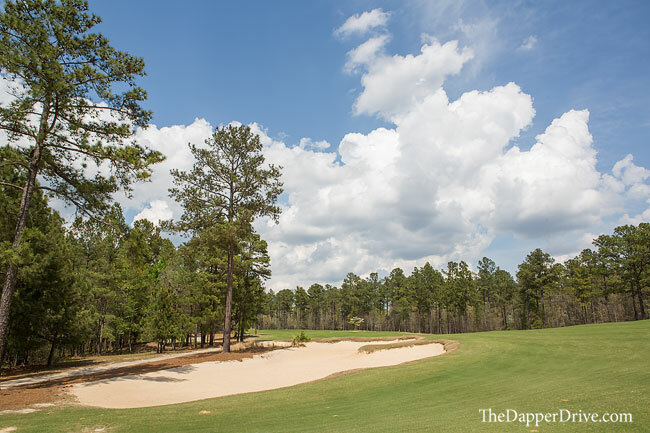 The closing stretch is particularly good, with the par 5 17th featuring well-positioned bunkers off the tee and featuring a massive waste area stretching across the fairway, 50 yards from the green. 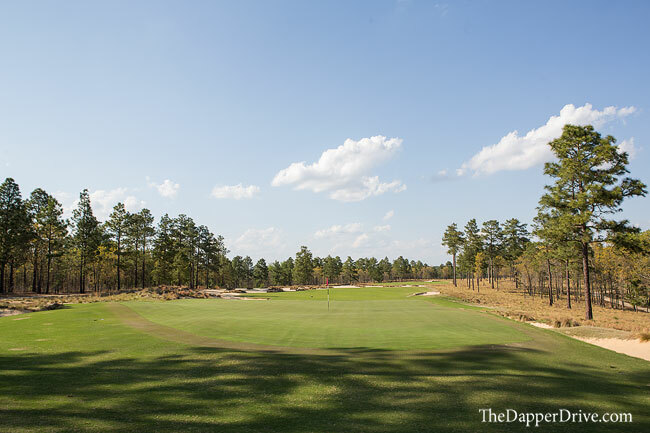 The view from behind the elevated green is one of my favorites as well. 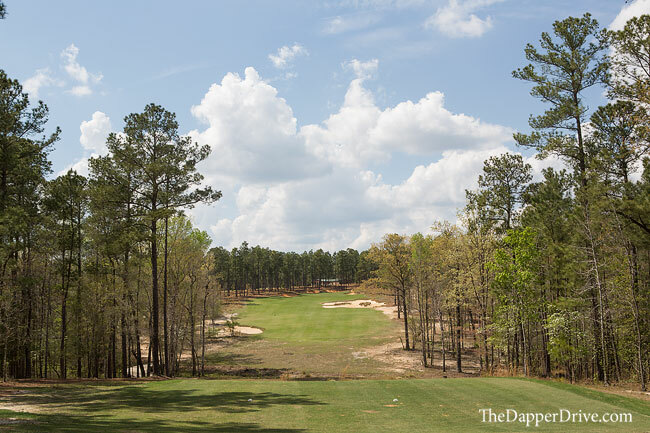 And the final hole is nicely shaped with golden fescue, with a set of deep cross-bunkers 290-yards from the tee and one last challengingly-sloped green to send you on your way.